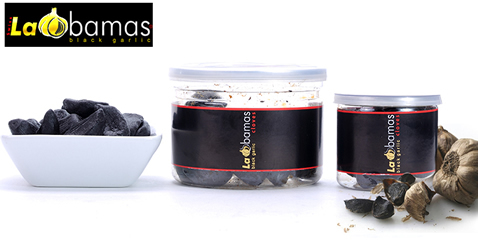 LaObamas Black Garlic is the new way of enjoying garlic! With its unique and sweet taste, LaObamas will become the special highlight of your meals. Use as a side dish, condiment or simply as a snack. LaObamas is almost odourless. LaObamas is a product of Switzerland and is a pure, organic and natural product. White garlic is fermented by gentle heat treatment and special humidity. The warmth colours the garlic and activates the garlic's healthy antioxidants. Imported by Barrington River Organic Farm.